This will be my last post in the Mini Series “Your Paycheck” it will be a large example incorporating all aspects of the previous posts in this series, Gross Income vs. Net Income, Taxable Income, Federal Allowances, Federal Income Tax Withholding, State Income Tax Withholding, Before Tax Deductions, and After Tax Deductions, Enjoy! One quick note before I start: the goal of this post is to give you a template for calculating your own net income. You may have more or less of the pre-tax deductions, allowances, etc than stated in the example below. Following this methodology and substituting your information should yield correct results and give you a detailed understanding of how your paycheck goes from gross to net income. Jackie is married and lives in the state of Illinois, her husband currently does not work; therefore his gross income is $0, for tax purposes they plan to file jointly. Jackie’s gross income is $65,000/year, she claims two federal allowances, makes an annual contribution of $2,600 (4%) to her 401(k), has a total benefits cost of $900/year (health, vision, dental, etc), and has no post tax deductions. What is Jackie’s take home pay? We first need to subtract her pre-tax deductions (401(k) contribution and benefits cost) from her gross income. Total income after pre-tax deductions is $61,500, but the example also states she claims two federal allowances, in 2011 each federal allowance claimed lowers taxable income by $3,700. We must adjust taxable income for those two allowances as seen below. Jackie’s total taxable income is $54,100 this is the number we will use to compute federal tax withholding, reference the federal tax withholding table below. We will also use $54,100 to calculate state income tax withholding. Since Jackie is filing jointly we will use the second column of the above withholding table. See a breakout of the calculation below. 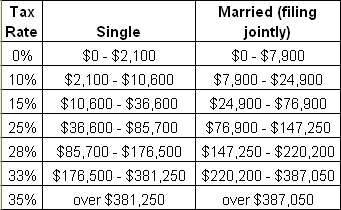 (If you need more detail on how to use this table please reference the post on Federal Income Tax Withholding). Total Federal Withholding is $6,080, but we can’t forget to compute social security and medicare tax as well, which if you remember are based upon gross income, not taxable income. Now that taxes on the federal level have been computed we need to figure out state income tax withholding. Illinois has a flat state income tax rate of 5% so calculating withholding is pretty straight forward, taxable income x 5%. Jackie has no post-tax deductions, so we are now ready to add all of the components above together and compute net income. *Semi monthly values are simply the annual amount divided by 24. There we have it! Jackie’s net income is roughly $49,000 per year. That is drastically different from her gross income of $65,000; $16,000 lower drastic! Granted she does keep the amount contributed to her 401(K)…but this large gap emphasizes the importance of knowing what happens to your money before it hits your pocket-book. Armed with this knowledge you can better pre-pare for taxes, retirement, health benefits, and monthly budgeting. Hopefully you’ve enjoyed this mini series and you learned something new and informative.